Singapore, which boasts the world’s highest mobile penetration rate at over 150% and which has been ranked as the most "Tech-Ready Nation" by the World Economic Forum, is often cited as a living laboratory for advanced communication services given the compact size of this city-state and its excellent overall infrastructure. In the telecoms sector, Singapore is a mix of state-owned incumbent operators (SingTel and to a lesser extent Starhub), tight regulatory and media controls, and small business start-ups. As we enter the 5G era, it is worth tracking the changes underway in this very dynamic market. 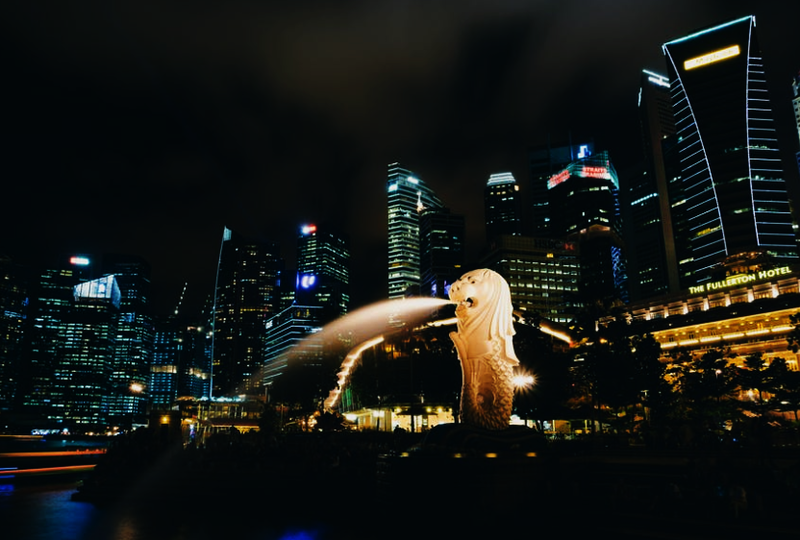 Singapore’s official regulatory body for telecoms and media, the Infocomm Media Development Authority (IMDA), has published an Industry Transformation Map, setting out the vision for transforming the city-state into a fully digital economy. The goal is to grow the media and communications at a 6% CAGR, roughly twice as fast as Singapore’s overall economy, creating approximately 13,000 new jobs. This would mean 210,000 workers would be directly employed by companies in this sector by 2020, compared with 194,000 in 2016. Three – guide companies and workers from the other sectors to adopt digital technology to improve productivity and efficiency. Encouraging investment and education has long been core to Singapore’s DNA. These are the principal factors which have made Singapore so successful to date. The four frontier technologies are not surprising either. Everyone is chasing these four sectors, but Singapore’s ambition is better planned. In May 2017, a fund called AI Singapore was set up with S$150 million to catalyse, synergise and boost AI capabilities. A nine-month AI Apprenticeship Programme (AIAP) has also been established offering a blend of classroom, online and hands-on project work. The first AI apprenticeships will begin in March 2018. The AI Singapore ecosystem currently consists of National University of Singapore (NUS), Nanyang Technological University (NTU), Singapore Management University (SMU), Singapore University of Technology and Design (SUTD), and Agency for Science, Technology and Research (A*STAR). The third thrust is interesting as it entails building a community between developers and users. This will take the form of a Strategic Partners Programme (SPP), which formally got underway in July. New collaborations with Memoranda of Intent (MOIs) were signed in November with three platform partners namely, IBM, Microsoft and Samsung to groom selected Singapore-based tech companies in their respective ecosystems. IMDA expects these new partnerships to benefit between 80-100 companies. Huawei is also a strategic partner, signed in July 2017, with a goal to propel 35 Singapore-based tech companies. There are three major networking infrastructure providers in Singapore, SingTel (Singapore Telecom, the previous incumbent operator), Starhub and M1. A fourth competitor, Australia-backed TPG Telecom, has regulatory clearance to enter the market and has launched initial services. A local ISP known as MyRepublic is also attempting to become a mobile operator. When Singapore first moved to abandon the monopoly status of SingTel in 1998, StarHub soon emerged as the likely favourite challenger. Starhub launched officially in April 2000 with the ST Telemedia, Singapore Power and two very powerful international carriers, namely, BT Group and Nippon Telegraph and Telephone (NTT). The new venture bought out some local ISPs and then merged with Singapore Cable Vision. During these early years, StarHub launched its mobile network and, with that, quickly established itself as a top consumer play for mobile, cable TV, and broadband Internet service. These consumer services remain core to the company today. Temasek Holdings, which is a sovereign wealth fund of the Government of Singapore, holds an approximate 56% share of Starhub. The market capitalisation of Starhub is around S$5.032 billion (US$3.73 billion). In 2009, Starhub was selected by Infocomm Development Authority of Singapore (IDA) to design, build and operate the active infrastructure of the Next Generation Nationwide Broadband Network (Next Gen NBN). Four proposals were considered: Intellinet (Axia + Cisco), Kliq (M1), 1NNOV8 (Singtel) and Nucleus Connect (StarHub). The OpenNet consortium backed by SingTel was selected to serve as the Network Company (NetCo) of the Next Gen NBN. Under the NBN structure established by the government, the NetCo (OpenNet) is responsible for deploying fiber while the OpCo (StarHub) is responsible for delivering wholesale services to Retail Service Providers (RSPs). In Q3 2017, StarHub reported revenues of S$580.4 million, down 0.8 % compared to a year earlier. The slight decline was mainly attributed to lower service revenues from Mobile, Pay TV and Broadband services, along with lower sales of equipment. These trends have been playing out for the whole year, as the nine-month report showed a decline of 0.6% overall. One positive area cited by the company in its quarterly report was Enterprise Fixed service revenue. The growth in fixed service revenue was partly due to the consolidation of Accel Systems & Technologies Pte Ltd (ASTL), a newly acquired cyber security solutions provider. Revenue for PayTV services for StarHub continue to decline as they lose customers. StarHub’s income also declined as the government trimmed NBN grants by S$4.1 million in Q3. In Q3, StarHub’s CAPEX to sales ratio was 9%, fairly low for a network operator. For its mobile division, StarHub’s subscriber base at the end of Q3 was 2.256 million, down from 2.275 million the previous year. PayTV is down 10k from last quarter and about 40k since last year. Broadband decreased by 1k over the last quarter and 9k over the last year. On November 17, 2017, StarHub CEO Tan Tong Hai announced his resignation, effective May 1, 2018. He has served as COO since 2009, later being promoted to the chief executive role in 2013. Under his leadership, StarHub underwent many changes, most significantly transforming from a strictly consumer-oriented service provider to include enterprise networking services. Sales to enterprise customers have grown to more than S$ 900 million annually. He chalked up several other notable achievements, including the acquisitions of mm2 Asia and Accel Systems & Technologies, the launch of an integrated fiber and cable home broadband solution, and the transition to an IPTV service. The company has indicated that they are conducting a global search for his replacement. This is interesting because it suggests that StarHub may consider business ventures outside of Singapore going forward. Another milestone this year has been the acquisition of Accel Systems & Technologies, a local cybersecurity specialist whose capabilities are expected to bolster StarHub’s enterprise portfolio. Accel will operate as a wholly-owned subsidiary. 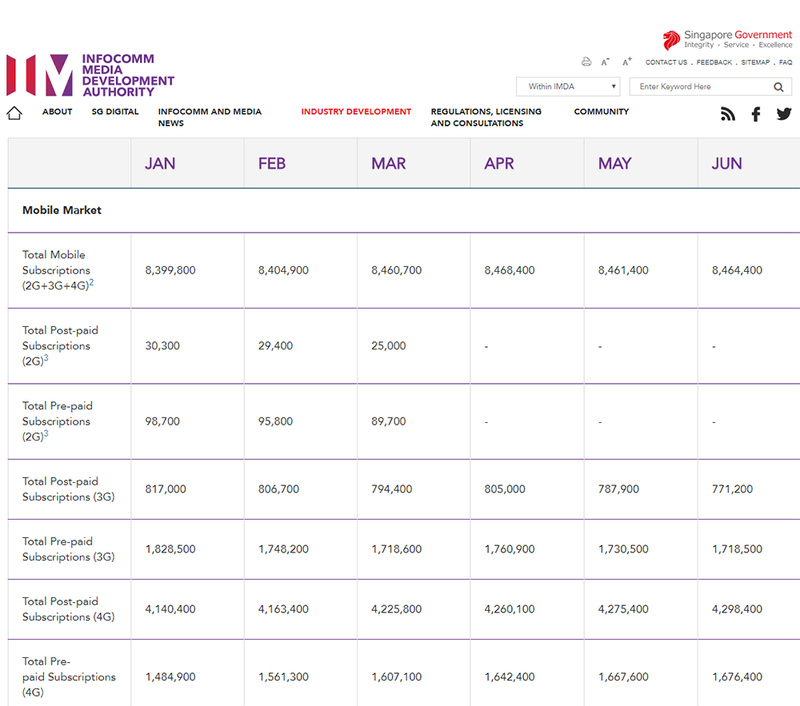 For many years, StarHub has partnered with rival M1 to share mobile infrastructure costs. This has included combined antenna systems, in-building fibre and tunnel cables. In January 2017, the companies agreed to expand this relationship to include sharing radio access network, backhaul and access assets. It does not include the individual mobile core networks or support systems. The companies continue to compete for consumer mobile services. This infrastructure sharing agreement should benefit StarHub as it begins to roll out 5G. One of the factors contributing to the rise of StarHub’s enterprise division was the activation in late December 2016 of the Asia-Pacific General (APG) submarine cable network system. This added significant international capacity on the StarHub network. APG is a 10,900 kilometer submarine cable linking Mainland China, Hong Kong, Japan, Korea, Malaysia, Singapore, Taiwan, Thailand and Vietnam. APG gives StarHub direct access to telecom partners in each of the countries with a landing station, such as Shanghai Nanhui, Chongming as well as Hong Kong, where major Chinese telecommunication providers deliver connectivity and ensure competitive access to multinational businesses. “Singapore is China’s largest foreign investor. To serve Singapore enterprises expanding to China, we are pleased to provide them with a new international connectivity on APG, catering for the growing economic activities between China and Southeast Asia,” said Benjamin Tan, Vice President of International Business, StarHub. StarHub’s partnership with APG is also significant because it increases route diversity to other Asian countries via submarine cables such as Asia-Pacific Cable Network 2 (APCN2), Asia Submarine-cable Express (ASE) and Asia-America Gateway (AAG). Unlike Singtel, which has numerous overseas investments and partnerships, StarHub has generally focused on only its local operations. Its most significant overseas partnership is with Vodafone, with whom it began a relationship four years ago, focused on mobile connectivity as well as co-branding and knowledge sharing initiatives. In November 2016, the companies agreed to expand this relationship to include high-speed data on Vodafone’s 4G networks for consumers. The partnership also gave a boost to StarHub’s enterprise services by helping them expand their businesses overseas via Vodafone’s International Enterprise network. In terms of revenue mix, mobile services have accounted for approximately 50% of Starhub’s turnover for past few years, with PayTV making up 15%, Broadband 8%, Enterprise 16% and sales of equipment (mobile phones, home gateways, etc.) making up the rest. There is little churn in Singapore’s mobile market but ARPU is falling as operators offer more and more generous data packages to subscribers. In the Pay TV segment, cord cutting continues to take hold. Starhub is losing subscribers every quarter even as it adds content with unique media partnerships. 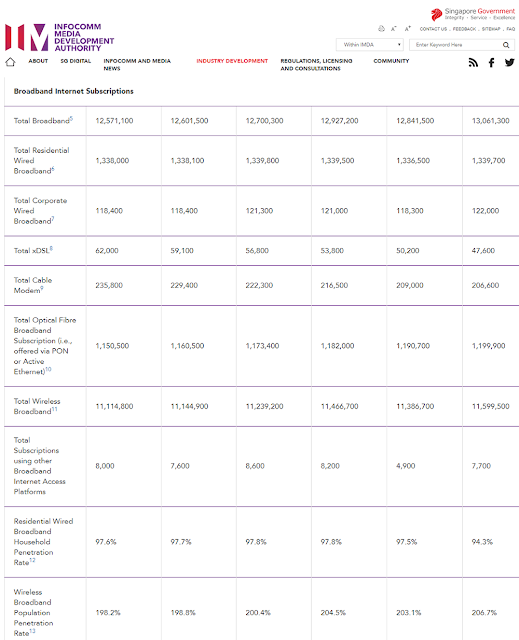 In broadband, Singapore’s excellent Nationwide Broadband Network (NBN), of which Starhub is a foundational player, delivers great performance/value to consumers but makes it difficult for operators to differentiate their services. Outgoing CEO Tan Tong Hai has been right to focus on Enterprise services as a big growth opportunity, bring competition for advanced services and international connectivity to Singapore’s business community. Is it time to seek expansion opportunities abroad? The Singtel Group has been one of the most internationally expansive mobile operators, putting it in the category of Vodafone, Orange, Telefonica, Digicel, Etisalat and Zain. While most of the world’s mobile network operators find success only in their home market, Singtel is quite the global player. But instead of using its own brand wherever it goes, like Orange, the Singtel Group typically invests in a local player, keeping its distinct Singtel logo and Singaporean identity out of the public eye. 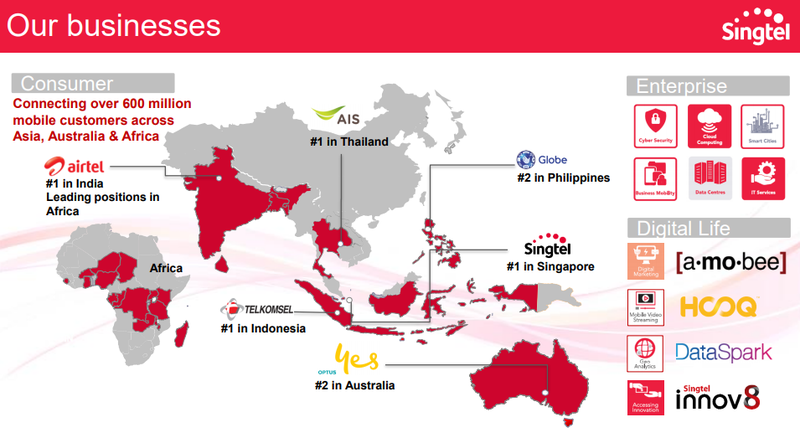 Through its six overseas investments, the Singtel Group currently touches 670 million mobile customers in 22 countries, with the largest concentrations being in India, Indonesia, the Philippines, and Thailand. In contrast, the population of Singapore is only 5.6 million – so you could say the company broadened its reach 100x by pursuing outside opportunities. For its own data network, Singtel has 370 PoPs in 325 cities. Australia - Optus – 100% share – Australia’s No. 2 mobile operator with 9.8 million customers for a 29% share of the market. Over 6 million of these subscribers are on the 4G network. The network footprint covers 95% of the population. Optus also serves 1.2 million broadband customers in Australia. For its most recent quarter, Optus delivered strong free cash flow of A$267 million up 21 percent from a year ago, despite higher capital investment in the network. Optus operating revenue was stable year-on-year at A$2,117 million with growth in mobile, mass market fixed and ICT & managed service revenues offset by lower equipment revenue. Over the past few months, Optus went live with the world’s first three-carrier channel aggregation massive MIMO in Sydney, delivering speeds of over 800 Mbps. Optus expects to roll out this technology to other capital cities in the next six months. Optus has also moved quickly down the path to transform into a mobile-led, multimedia content provider. The first step was the launch of Optus Sport, a 24/7 sports channel with on-demand and live multi-screen capability to broadcast Premier League football. This has proven popular. Optus users have watched almost 13 million hours of Premier League and international football content including live matches, highlights, and expert analysis, since launch in 2016. Optus also offers data-free music and content streaming in selected prepaid and postpaid plans. Its streaming partners include Netflix, Stan, ABC iView, Spotify, Pandora, iHeart Radio, and Google Play. India – Bharti Airtel, in whom Singtel holds a 36.5% effective interest. Airtel is still the no.1 mobile operators in India with approximately 282 million customers for a 24% market share. However, Airtel is under intense pressure from Reliance Jio, which is really shaken up the market with low pricing and generous data allowance. Earning here are under threat. Through Bharti Airtel, which has its own international expansion strategy, the are 2 million more customers in southeast Asia and 82 million customers in Africa (Ghana, Niger, Chad, Gabon, Congo, DR of Congo, Zambia, Uganda, Rwanda, Kenya, Tanzania, Malawi, Madagascar, and the Seychelles..
Indonesia – Telkomsel, in whom Singtel holds a 35% share. Telkomsel is no.1 in Indonesia with 190 million mobile customers for a 47% share of the market. Most recently, the company posted its fifth straight year of double digit revenue growth. Thailand – AIS, in whom Singtel holds a 23% share. AIS has 40 million mobile customers, ranking it no.1 in the country with a 45% market share. The carrier has rapidly expanded its 4G network over the past year and now covers 98% of the population. Thailand – Intouch, in whom Singtel has a 21% share. Intouch is an active investor in local telcos and media, and technology firms. Philippines – Globe, in whom Singtel has a 47% share. Globe has 59 million mobile customers, giving it a 50% market share. For the first nine months of 2017, Globe’s service revenues climbed 6% over last year. There were 3 consecutive quarters of record revenues for both mobile and home broadband. Mobile data contributed about 43% of total mobile revenues for the first nine months of 2017, versus 38% a year ago. Mobile data service revenues reached P31.3 billion as of end-September 2017, or 20% above the P26.1 billion reported in the same period last year driven by higher data usage and the continued growth in smartphone penetration, which increased to 70% for the period. Mobile data traffic likewise improved by 73% from 249 petabytes (PB) in 2016 to 430 PB this year. Globe home broadband business likewise reported a robust 8% year-on-year growth, delivering a total of P11.7 billion revenues as of end-September this year. An interesting note is that Globe is a big proponent of fixed wireless for home broadband service. The international strategy has largely been successful. This year, the regional associates in whom Singtel is a major shareholder deliver 48% of the Group’s overall profits. 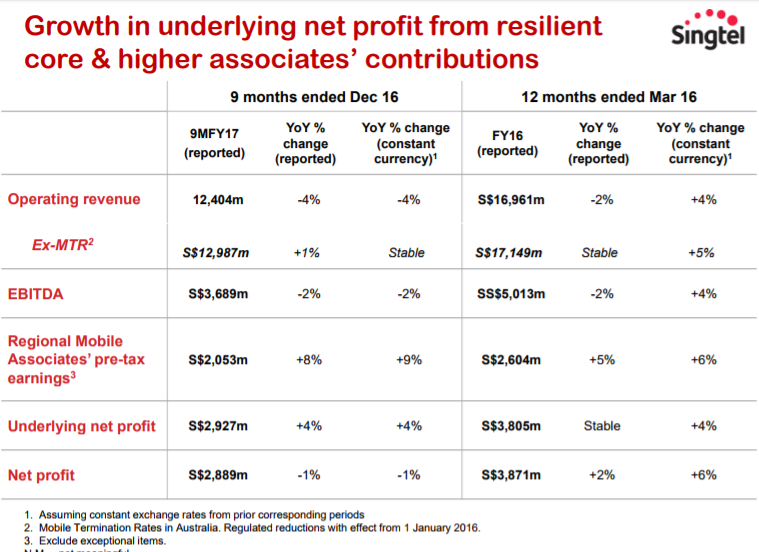 Its Optus subsidiary in Australia accounted for 22% of Singtel profits. Meanwhile, operations in its home city of Singapore yielded just 30% of profits. The good news is that consumers across Asia are upgrading to smartphones and signing up for 4G data plans. In the first nine months of 2017, the number of data subscribers surged past 220 million – a 12% increase from the previous year. Mobile banking is another clear opportunity. In India, Airtel received a bank licence from the Reserve Bank of India and in January it launched Airtel Payments Bank to offer banking services across the country, with 250,000 Airtel retail outlets. The same is happening in the Philippines. The SingTel Group long held the title of being the most valuable company in southeast Asia by market capitalisation. This crown was lost in late November when DBS Group Holdings Ltd., which is Singapore’s largest bank, shot past SingTel on an upward stock price trajectory. Bragging rights aside, SingTel presently has a market cap of US$61.5 billion, which is roughly 12 times greater than that of its nearest rival, Starhub, which is currently worth about US$5 billion. Notably, the majority share of 51% belongs to Singapore’s sovereign wealth fund. This same fund also owns a 56% share in Starhub – of course raising questions about whether competition is free flowing or managed. Would Temasek really encourage or even allow a serious price war to break out in telecom services in Singapore if it were to damage one of its key investments? Next on the list of Singtel investors are “old money” – the established banks that guide the export economy of this Asian tiger. This suggests a conservative board that’s more likely to favor safe and predictable dividends over fast growth opportunities. The company has consistently delivered on these expectations and senior management is right in line. Singtel has headed by Ms. Chua Sock Koong (59) as Group CEO since 2007. She joined Singtel in June 1989 as Treasurer before becoming Chief Financial Officer in April 1999. Her background is as a distinguished accountant. Bill Chang (50) serves as CEO of the enterprise and ICT division. · Singtel enjoyed monopoly status until 1998 but rival Starhub really got going in the early 2000s. · In 2001, Singtel completed its acquisition of Optus Australia. Also in this year, Singtel was awarded its first 3G license. · In late 2012, Singtel activated its LTE network. In Singapore, Singtel currently holds approximately 82% of the fixed-line market, 49% of the mobile market and 43% of the broadband market. Fixed line connections continue to evaporate here, as they do everywhere else in the world, but mobile and broadband churn are very low. In its local mobile market, Singtel currently serves some 4.1 million subscribers, capturing 49% of the mobile phone market. 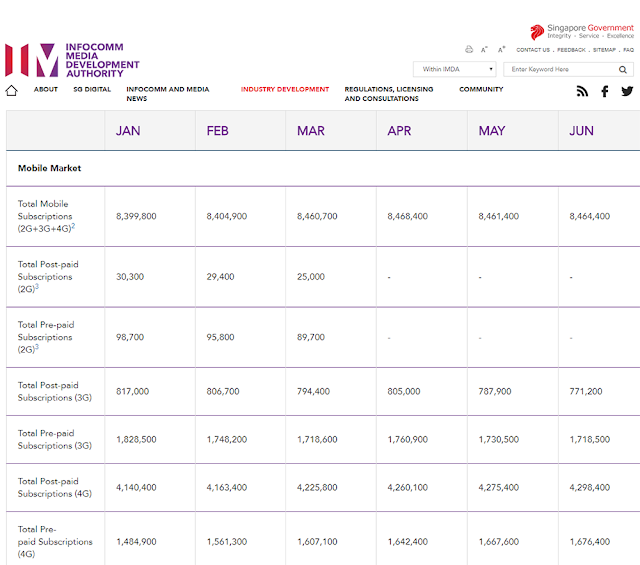 As seen in the official market statistics covered in part 1 of this article, mobile Singtel network footprint is practically ubiquitous within the city-state. There is no place you can go where there is not LTE and/or any of Singtel’s 1,000+ Wi-Fi hotspots available. Of course, this level of penetration is easier to achieve when there is only 278 square kilometers to cover in the whole country. The geography and the population density make Singapore an ideal place to showcase the latest mobile technologies. Already, Singtel’s 4.5G LTE delivers mobile data speeds at 500Mbps nationwide. One example is Singtel’s interest in Licensed Assisted Access (LAA) technology. In a joint trial conducted recently with Ericsson, Singtel witnessed 1.1 Gbps of performance. The test leveraged 256 QAM and 4x4 MIMO, and aggregated two licensed and three unlicensed spectrum bands on a TM500 Test System device. Singtel and Ericsson are also working on 4.5G LTE and 5G in Singapore. Earlier this year, high download speeds of up to 800Mbps were achieved on Singtel’s LTE network by deploying 256 QAM downlink, 4x4 MIMO and triple carrier aggregation techniques. In October 2017, Ericsson and Singtel established a 5G Centre of Excellence to facilitate 5G development in Singapore. In August, Singtel confirmed that it is working with ZTE to complete the live deployment of the 2.6 GHz Pre5G massive MIMO network at one Marina Bay site in Singapore to enhance Singtel's 4G service. ZTE noted that its Pre5G massive MIMO is suitable for high-density scenarios and will be deployed to help guarantee service quality during the high data traffic volumes that will result from the crowd gathered at the location during Singapore National Day. The higher speeds will help to address the surge in mobile data traffic seen by Singtel. BaishanCloud, a cloud data services company with offices and R&D centers in Beijing, Seattle, Shanghai, Shenzhen, Xiamen and Guian, raised $50 million in its Series C of private equity financing. 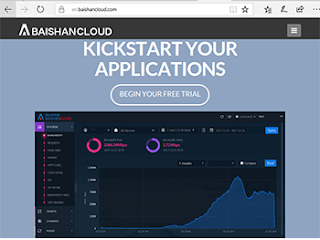 Baishan's cloud suite is comprised of cloud delivery, cloud storage, and cloud linkage services. The platform includes data transmission, data storage, data consumption, and data governance capabilities for Internet and enterprise customers. The company was founded in 2015. The latest funding round was led by Alpha Capital and Chunjia Capital, followed by new local strategic investors. The up-round investment was provided by Silicon Valley Bank, Industry Ventures and existing investors Crosslink Capital and RRE Ventures. NodeSource has raised #33.4 million to date. Xtera has filed legal proceedings against Nokia Corporation, including Alcatel-Lucent, and NEC Corporation citing infringement of its intellectual property in subsea telecommunications systems. Specifically, Xtera's complaint with the U.S. International Trade Commission (“ITC”) alleges that Nokia and NEC "are using its technology illegally and without permission, and seeking to prevent the companies from importing and selling in the U.S. products that infringe on Xtera’s patents." Xtera says the infringing products include submarine line terminal equipment and components needed to transport optical signals across the ocean. The company is seeking a permanent, limited exclusion order that would prevent entry into the U.S. of products that infringe on Xtera’s patents. Xtera is asserting five patents against Nokia and NEC, including: U.S. Patent Nos. : 8,380,068; 7,860,403; 8,971,171; 8,351,798; and 8,406,637. Orange Business Services will deliver cloud connectivity services for the European Space Agency's (ESA's) Copernicus project, which will provide free and open access to near-real-time data, models and forecasts about our planet, harvested by a family of dedicated satellites and in-situ observations. Orange is part of the Airbus Consortium, one of the four groups of companies selected for the Copernicus data and information access service (DIAS) project by the European Space Agency (ESA). Specifically, Orange Business Services will provide cloud-based ICT services together with its globally operated public cloud solution, Flexible Engine, to complement Airbus’ deep aerospace expertise. The consortium led by Airbus will use the Orange Business Services globally-operated. "Flexible Engine" public cloud to meet the demands of Copernicus and ensure all its data is secure and freely available. Flexible Engine is a highly secure and reliable public cloud offering built on OpenStack technology. “Big data analytics supported by the right cloud capabilities can help unlock the value of this data to innovate and create new business models to provide economic growth for Europe. The entire Orange team is proud to participate in a project as ambitious as Copernicus DIAS. By utilizing our know-how and public cloud solution Flexible Engine, we will offer users innovative solutions to take advantage of the big data collected by ESA,” explains Philippe Laplane, CEO of Orange Cloud for Business. Sunnyvale, California based Ooma, which offers a VoIP service for consumers and small businesses, has acquired Butterfleye, a start-up offering an AI-powered video camera and security platform. Financial terms were not disclosed. Butterfleye raised $1 million in an Indiegogo campaign in 2016 to launch its security camera. The wire-free Butterfleye camera is designed to detect people, pets, and various sounds. The design features advanced battery technology, 16 gigabytes of internal storage and on-board image processing. "Butterfleye offers a fantastic intelligent security camera system and we’re excited to add its capabilities to the Ooma Home security service," said Eric Stang, CEO of Ooma. "Our strategy is to build upon Ooma’s smart communications platform to provide advanced connected home solutions and this acquisition is an important step in that direction."